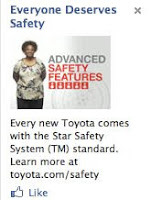 Whatever the case with Toyota’s real or perceived quality and safety issues are they have launched a major digital media campaign to respond to the safety issue. Toyota has even branded their five safety features under the “Star Safety System” which is now standard on all their vehicles. What is the system? It’s traction control, stability control, anti-lock brakes, electronic brake distribution, and brake assist. 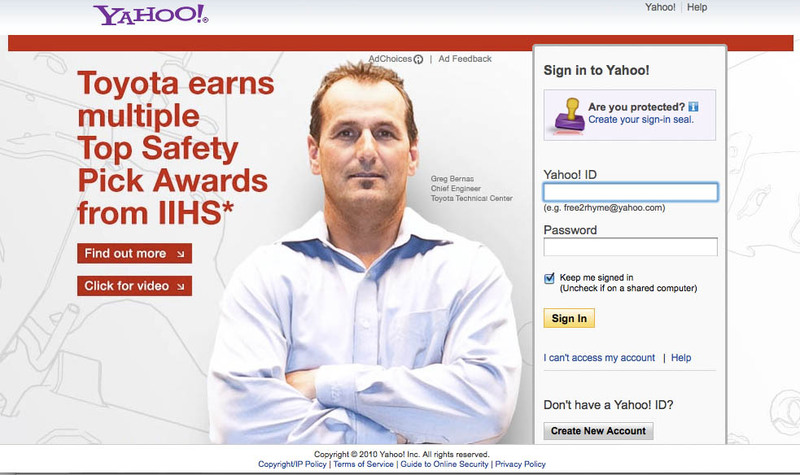 The latest ad buy was one recently used by Chevrolet on Yahoo! Mail that uses a background look to the mail login page (see image at left.) They are also buying several key placements on Facebook to get the message out. 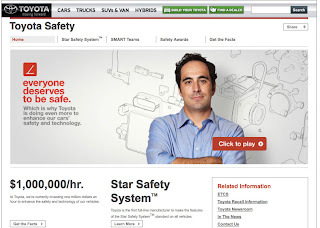 I really like Toyota’s Safety landing page. It provides four clear messages with some well-executed online video explaining the company’s commitment and seriousness about responding to their safety perception issue. 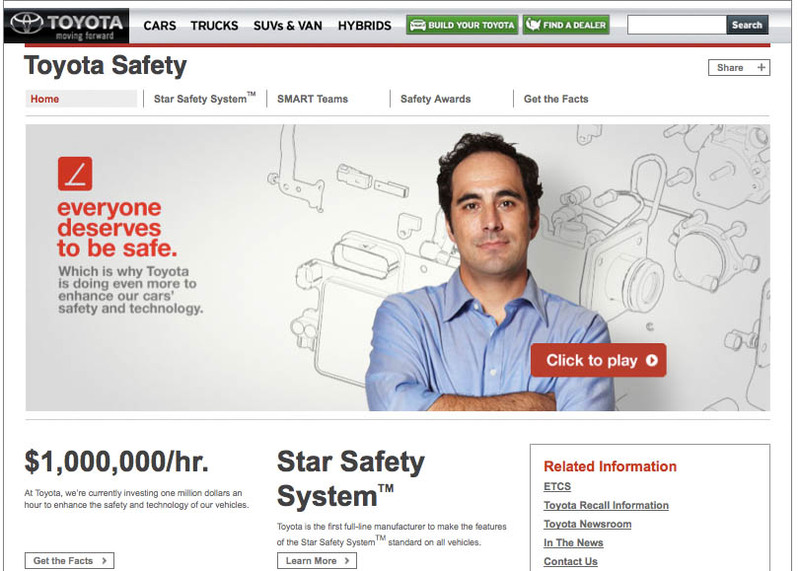 After months of news stories reporting unattended accelerating vehicles --some true and some alleged hoaxes -- the company needs to show they make safe vehicles. The question now is will we see a Toyota Quality landing page after their plunging JD Power Quality rating? If one types in http://www.toyota.com/quality the page is redirected to http://www.toyota.com/productleadership/#/Precision. This page does not look like it is ready for prime time as a destination for online media, but that could easily change if Toyota uses the same formula they have for the Safety and Recall landing pages.